2019 First Round to feature Amerks vs Marlies · Let's Go Amerks! The opponent is set and the dates are locked in. The Rochester Americans will take on the defending Calder Cup Champion Toronto Marlies in the first round of the 2019 Calder Cup Playoffs. The first round is a best of five series. All rounds after are best of seven. In six games during the 2018/2019 regular season the Amerks won five times. Three in regulation, once in overtime, and once in a shootout. 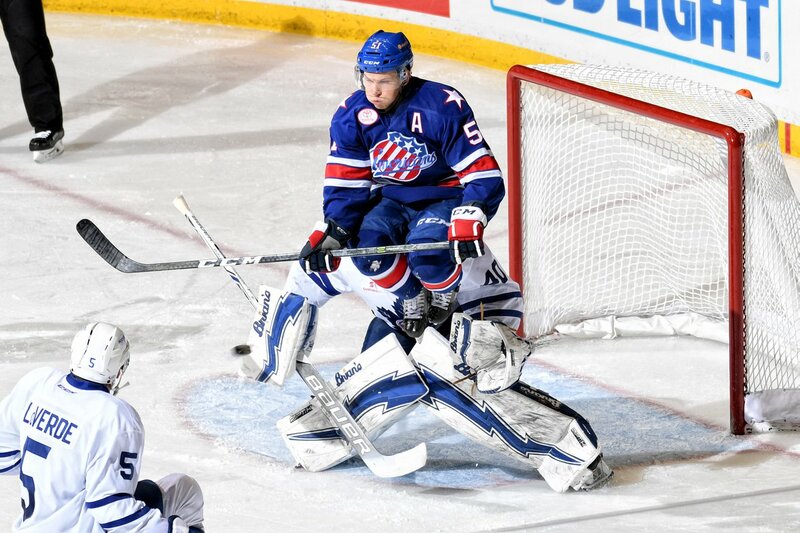 The Amerks played the Marlies in the first round of the playoffs in 2012 and 2013 and were swept in both years. Yes, the Amerks play on Easter Sunday. It’s not ideal but the first round has to be completed in 10 days. The Rochester Knighthawks already had the Saturday night booked leaving Sunday as the best option for game two. Plan a trip to the arena, family will understand, and bring them along. There’ll be a lot more to come about how the teams match up in the playoffs as the week goes on.